Every holiday season (including those throughout the year) brings comfort and joy. However, it can also cause stress. Not only for humans but also pets. Visitors and extra food droppings from cooking can excite pets while other activities including decorating, changes in feeding schedules and less outdoor activities due to weather can also cause anxiety. 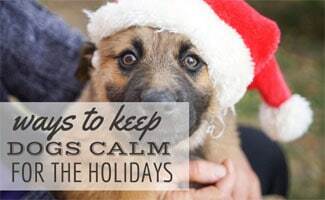 Before you deck the halls, here are some newly released products for 2018 and tips that can help keep your dog (and ultimately you) calm and happy during the busy holidays. From the creators of ThunderShirt, ThunderEase Calming Spray helps put your pup at ease with the natural scent of a mother’s nursing Pheromones. It’s an all-natural and drug-free solution to reducing anxiety. Studies show it is 90% effective and doesn’t require training. Just spritz 8-10 pumps when you anticipate your dog may get nervous and watch the stress decrease. Toss a bottle in your bag to take on the go. And if it doesn’t work, the company stands by its product with a 100% money-back guarantee. In addition to spray, you can also buy this technology as a diffuser, a dog collar or in the ThunderShirt itself. Have cats? There is also a formula for felines. 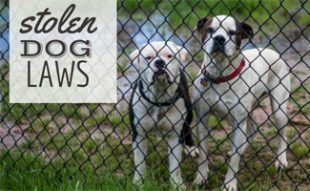 CBD oil is another safe, organic alternative to traditional medicine for anxious dogs. Note that CBD oil contains less than 0.3% THC (the substance in marijuana that produces a “high”). CBD oil is growing in popularity for pups and is recommended by many vets for its naturally calming effects. It can help treat chronic or temporary conditions from which your furry friend may suffer, including stress. Read our review of the best CBD oils to learn about the medical properties, how it’s made and application tips. Our top pick is King Kanine who makes a number of CBD products in the USA including oils, treats, balms and soothing sprays from naturally occurring Phytocannabinoid-rich (PCR) broad spectrum oil. Like ThunderEase, the company has a 30-day money back promise that its products work. So give it a shot — you have nothing to lose other than your pup’s worries. Winter means potty breaks in the snow and ice, resulting in wet, muddy paws in the house. Thanks to the just-launched Tottels, you can wipe away your fears of paw prints and dirty furniture. Place this patented towel in the mudroom or by the front door and, since it snaps into place, it won’t fall on the floor. It’s machine washable so you can reuse it, unlike wasteful paper towels. Stop worrying about ruining your bath linens or dish towels with this designated doggy wipe towel. The holidays are a busy time, filled with parties and special times with friends and family. With all that celebrating there’s hardly time to groom your pup (let alone yourself). 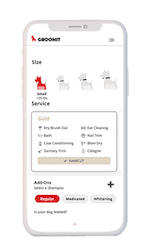 If you live in the New York Tri-State area or San Diego, CA, the Groomit dog grooming app can help you find a local, reputable groomer. Simply download the app or go to the website, select the services (bathing, nail trim, haircuts, etc. ), and book an appointment. Then you will connect with a certified groomer to come to your home for a doggy spa treatment. It’s convenient for pet parents, and in-home grooming gives your dog a less stressful environment with no exposure to other animals, diseases or parasites. Your dog will also love the personal one-on-one care and attention. All groomers are fully insured so you can ensure safety is a top priority. 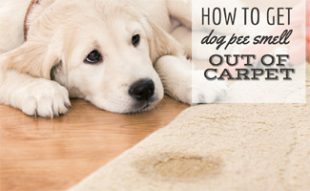 You can also add fragrances, flea and tick removal/prevention, and more. Unfortunately, Groomit currently only serves the New York Tri-State area and San Diego, California, but hopefully, they’ll add more locations soon. Headed over the river and through the woods to Grandmother’s house? While you and the kiddos are buckled up, it’s crucial to make your dog’s safety a priority too. Gunner Kennels are designed to create an inviting and secure “den” for your pup while traveling. Its unique construction and durable double-walls stand up to weather, crashes and holds dogs up to 75 pounds. The escape-proof door has a locking latch that is custom welded and reinforced with aluminum, so your pup can’t open the door from inside. This sturdy construction also acts as an extra layer of protection from a dog chewing its way out. This crate has superior ventilation while also providing shelter and temperature control. Your pup deserves the best transport available, and Gunner stands by its product with a lifetime warranty. In addition to these stress-reducing products, here are a few simple tips to minimize your pet’s stress level and make life easier for the whole family this holiday season. Keep your dog on a regular schedule – this includes food and grooming. Make sure you order plenty of food ahead of time, so you don’t need to run to the store last minute. We recommend auto-ship dog food like Pet Plate fresh food or Iandloveandyou natural kibble to ensure your dog gets a feast of its own! Limit the amount of travel that you do with and without your dog. If you do end up needing to travel without your pet or leave the house for an extended time, we recommend getting a pet sitter to walk or watch over your pup. Limit the number of guests that come over to your home (and only bring over the nice ones who give belly rubs and treats please). Don’t leave out wrapped presents for your dog to open. Decorations on the tree look like fun play toys, so it might be best to keep them out of your pet’s reach. Eating paper and tinsel can be dangerous for pups. Don’t tempt your dog with table scraps. As much as your dog may beg, most people food is unhealthy for pets. Chocolate, onions and grapes are among the most dangerous. If you’re wondering which human foods are unsafe, check out our handy list of foods not to feed dogs. 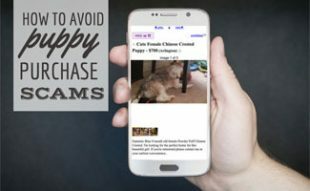 Minimize visits from other pets. Your dog has enough love to share with all of your guests, so there is no need for competitive stress in its own home. Watch this compilation video of Boxers who may end up on Santa’s naughty list this year. The easiest way to keep you pet calm is to take them for regular walks and runs, naturally reducing stress. 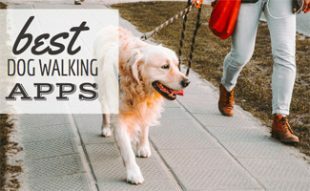 If you’re too busy to take him or her for a walk, consider using a pup sitting service to find trustworthy dog walkers in your area. What tips do you have for keeping your pup calm? 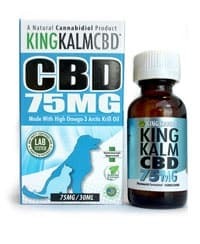 It’s great that this article explains how there is CBD oil for pets that can help dogs who have anxiety due to its calming effects. If someone is considering CBD oil or other products, it might help to talk to their vet or other professionals. Doing this could help them learn whether the product can help their pet with their condition or problems as well as give the owner the chance to ask questions and learn about what suppliers and types would be best. I am glad that I found this article. You see, my sister wants to bring her dog to our family’s Christmas dinner to introduce him to everyone. As you mentioned to only let guests that give pets belly rubs and treats, I will share these tips with the rest of the family. Aside from this, I will find our local animal clinic so that in case her dog suddenly feels unwell, we can get him treated for it immediately and the holidays will not be so rough on him.